I think weaves are hands down the most popular styling choice among black women and I have had 2 in my life time though I can’t say I’m a fan of having them. They make me feel so self conscious, but hey thass jus me! 2. NoBraidsNoGlue-2 pieces of thread are integrated into the natural tresses. Then the commercial hair is integrated into thread with 2 pieces of thread. . It takes 45 minutes to 1 hour for a full head. 3. Netting-is a technique which involves braiding natural tresses under a thin, breathable net that serves as a flat surface onto which stylists can weave extensions. 4. Tree Braiding-the artificial hair is incorporated into the client’s natural hair with the use of a basic cornrow. Tip 1- Choose a hair weave that looks REALISTIC!!! Personally I really hate weaves that look like plastic, defeats the purpose which is to make people think you have simply styled your hair, not that you’ve stuck someones hair on your head. Try to get one that looks as close to real hair as possible. Tip 2- Maintain it!!! This depends on the type of weave but it is advisable to wash and clean it often, sometimes once a week sometimes once a month. This helps remove any build up of oil or grease on the weave and restore its shine and movement. Try not to use too much oily or greasy products on the weave. If the ends of the weave start getting frayed trim them. If your tracks start showing it may be time to get it re-done. Tip 3- Maintain your hair. Don’t forget your hair under it. Oil it often and wash and deep condition between weaves. If you have an open weave (i.e you use your hair to cover the weave at the front) separate your hair from the weave and wash it and condition it. This exposed hair splits easily especially if you apply heat to it often by flat ironing or blow drying. So make sure you take care of it. Tip 4- Don’t have your weave on for too long. We’ve all seen messy old weaves, its not a good look. More than 3 months is pushing it. Tip 5- Wrap your weave at night in a silk scarf as you would your own hair. Tip 6-Air dry the hair weave when possible (If you’re using a human hair weave). 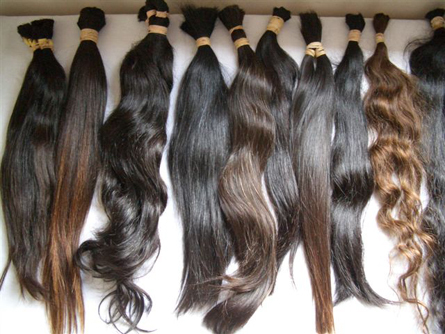 Care for the hair weave as you would your own hair by avoiding too much heat and processing. If at all possible, avoid using blow dryers on the hair weave at all. Previous Post Know your hair.